Have your tour tailored out to your time allowance and choose the favourite spots to visit. Activities and sightseeing in Rome can keep you busy for at least a month! But let’s take a better look at what you cannot miss on your first visit to Rome. The first spot to attract visitors and their cameras is surely the majestic Colosseum. This amphitheatre once hosted gladiator fights while a big crowd watched and cheered in the audience. Be part of the crowd for the day and admire the magic vibe that Colosseum stores to our days. Next to the most famous Roman amphitheater in the world, pay a visit to the ruins of the Roman Forum. This spot was once the commercial hub in the city and teaches tourists how life was back in the old Roman Empire days. Both those landmarks are very popular with tourists and it is not uncommon to find big queues. How to skip them? Most of the private Rome tours will get you right through the gate, no need to wait in line. The Romans have also left another important work to let us understand their culture much deeply. Circus Maximus is an old circus, a venue for chariots races and other sport competitions. 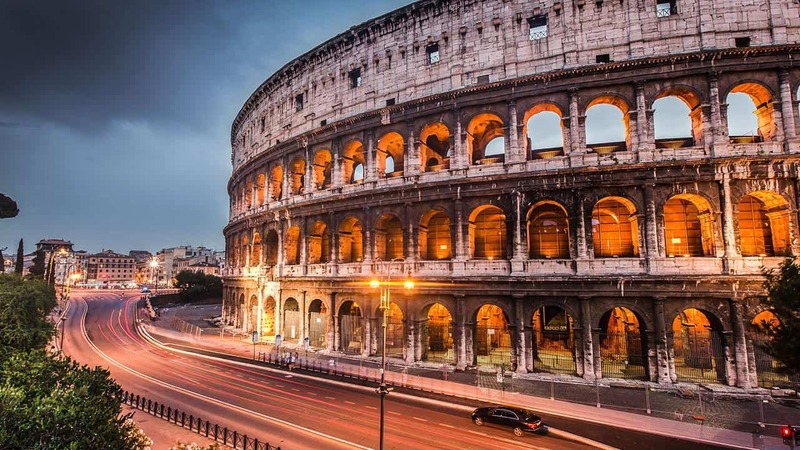 Discover all Seven Hills of Rome through the sightseeing of beautiful historical sites like temples, baths, theaters, stadiums and much much more. Visit Capitol Hill, the political heart of Rome. Your personal tour guide in Rome will not only fit classical sightseeing in your day tour, there is also some space for later architecture and art installations. Visit the baroque landmarks in Rome and learn about the true meanings behind fountains, squares, churches facades and urban plans. 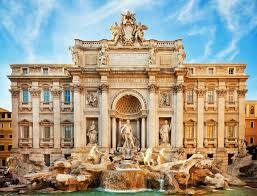 A must see in Rome, Fontana di Trevi is the best example. A majestic marble sculpting work paired with the architectural restoration of the old Aqua Virgo aqueducts, the only Roman one that still works today. Another famous fountain that deserves your time in private Rome tours is La Barcaccia, that not-so-ugly boat in Piazza di Spagna. Walk down the Spanish Steps into one of Rome’s most charming squares. Learn the story that inspired Bernini in sculpting this beautiful masterpiece representing a boat that reached the square in a flood. There is another masterpiece that Bernini projected and sculpted in Rome. 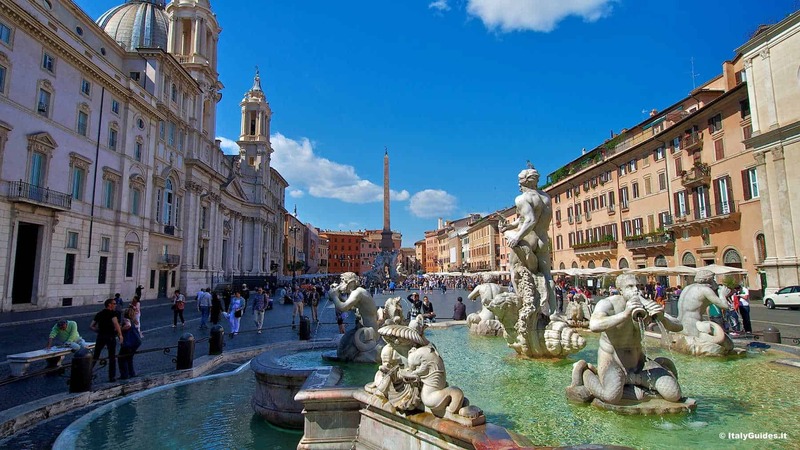 The legendary Fontana dei Quattro Fiumi in Piazza Navona is an impressive sight. Four river gods around an Egyptian obelisk stand out for four of the major rivers in each continent. Let your personal tour guide in Rome tell you about all curiosities that stand behind the artistic disputes between Bernini and his rival Borromini. There is one example right there, in Piazza Navona. Want more of your private Rome tours? Discover the major religious sights in the Eternal City. Start from Vatican City, a city within the city, and the Holy See. 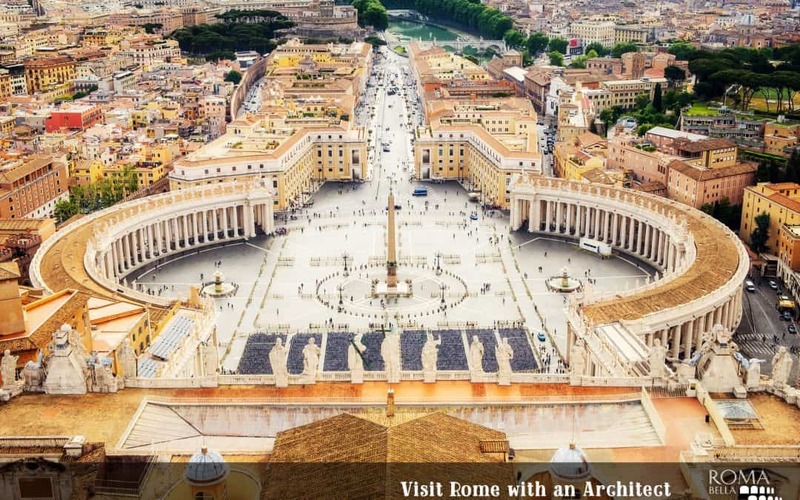 Visit Saint Peter’s Square and stroll through its columnade. Discover Saint Peter’s Basilica and the Sistine Chapel for beautiful frescoes. Do not miss out on the unique chance of climbing the top of the dome for a beautiful view over timeless Rome. Religious character comes from many churches in the city, but also mausoleums and other monumental buildings in Rome. Visit the Pantheon, a temple at first, a round base building converted into a Christian basilica in the VII Century. Tired of all this sightseeing? Rome has a lot to teach and you have learned so much history and art that you can have a well deserved rest. The city has also beautiful green areas for you to seat down and have a break after the private Rome tours. City parks, botanical gardens and beautiful villas are perfect spots for a picnic in Rome. 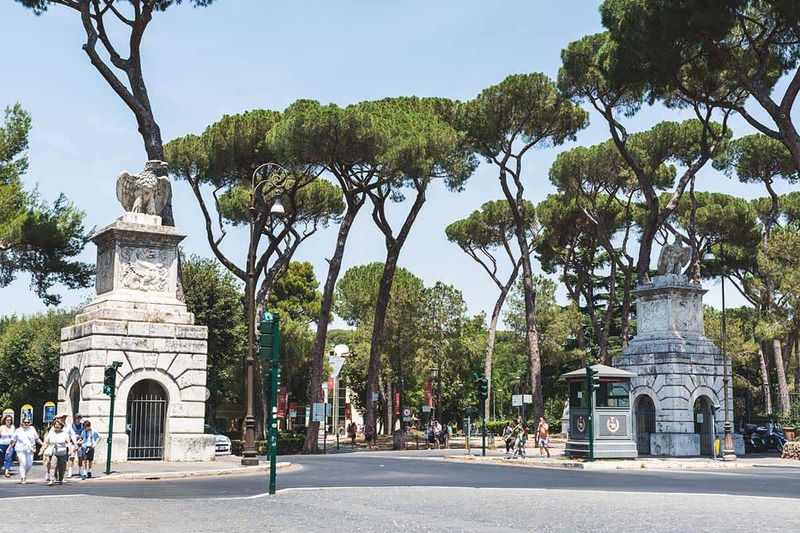 Start with Villa Borghese, a superbly landscaped garden surrounding art galleries and villas. This is one of the nicest parks in Rome and it is a must in a trip to Rome. Also visit the neighbour Rome Zoological Garden, a zoo opened in 1910 and today a research venue for endangered species. The most appreciated feature of this zoo is that animals are not kept behind bars: instead, canals and ditches are separating the creatures habitats. A visit to Rome can’t be complete without discovering the largest landscaped park in the city: Villa Doria Pamphili is a XVII-Century villa just outside the walls of the Eternal City. Or head to Rome Rose Garden, next to the Circus Maximus. This colorful garden covers an area of 10.000 square meters and has plenty of chances for sitting down on the grass and have a lovely break from the city hussle. Visit the over 1000 varieties of roses, some are even experimental tests. It is almost pointless to say that visiting Rome in a day is just impossible. There is so much to see and do than a lifetime wouldn’t be enough. But do not panic. Your personal tour guide in Rome is here to help: visit all the best landmarks and discover the inner secrets of the Eternal city, just as locals know it.